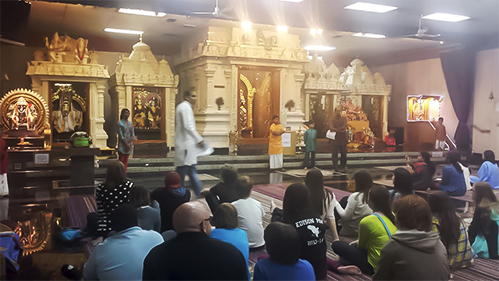 Operation Understanding brings together individuals from across Tulsa to offer an opportunity to learn about some of the different religions in Tulsa. No proselytizing is allowed. As the group visits the houses of worship, the clergy will speak to them and answer questions. We hope this experience will help the community understand, appreciate and respect differences in religion. Attendees are not expected to participate in the worship but are asked to respectfully observe. The annual Interfaith Tour of diverse houses of worship – “Operation Understanding” – is an effort to encourage interchange, interaction, and dialogue among individuals of varying faith traditions. The Tour, which is held on a Sunday afternoon in the fall each year, has been enormously popular and successful since its inception in 1981. Thank you for joining us for the annual Interfaith Tour in 2018. Subscribe to our newsletter or follow us on social media for details on the 2019 tour.